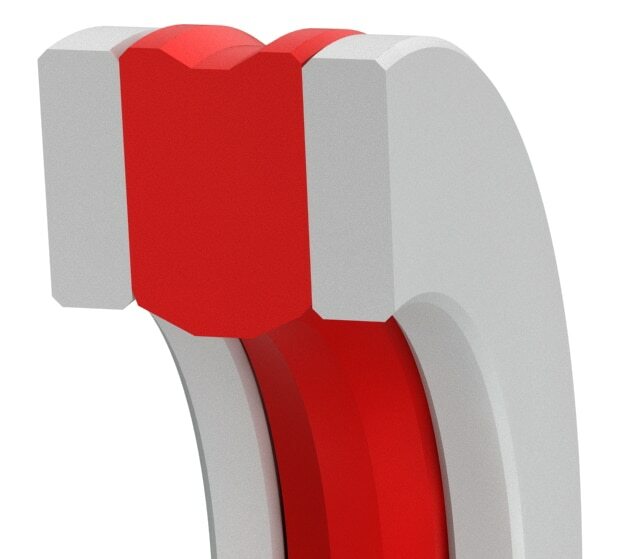 Three-piece high-pressure seal for swivels and rotary distributors. The sealing element is a high-performance elastomer and is supported by two thermoplastic backup rings. This seal provides excellent positive sealing and fluid separation, much superior to PTFE seals. It is used for pressure up to 10,000*psi under lubricated conditions at low surface speeds. Small quantities are available in 1 to 3 days.